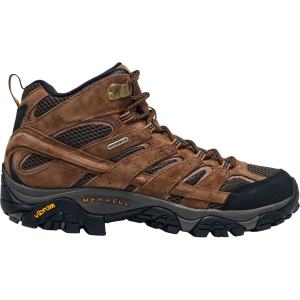 Rain or shine, the Merrell Men's Moab 2 Mid Waterproof Hiking Boot offers rest-assured traction, comfort, and protection as you navigate rough terrain. 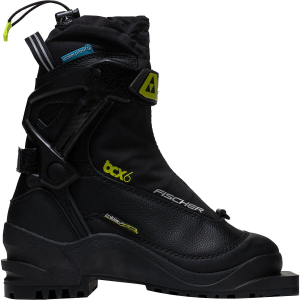 Now, the Moab 2 isn't reinventing the wheel--this boot simply touts a few new updates to bolster its comfort and support levels, and in turn ensuring you a more enjoyable hiking experience. 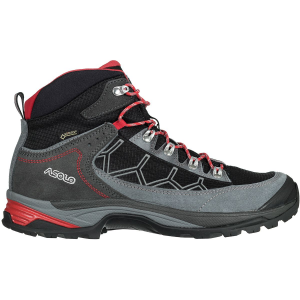 Like its predecessor series, the Moab 2 is equipped with a waterproof and breathable M Select Dry membrane, which keeps your foot well defended against accidental puddle slips or light moisture. 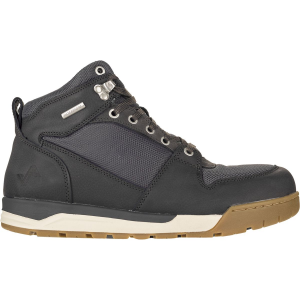 Meanwhile, the suede upper is fortified with mesh inserts to promote added breathability and comfort. 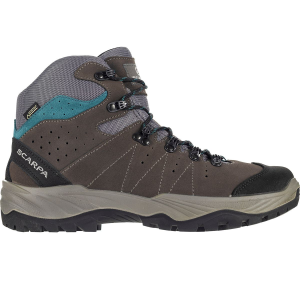 An EVA footbed features arch and heel support, and the EVA midsole (along with the air cushion in heel) guarantees out-of-the-box comfort, support, and shock absorption--all of which are key necessities when hiking. And, last but certainly not least, the Vibram TC5+ outsole provides unencumbered traction underfoot thanks to its 5mm lugs and multi-directional design.